The sea and its shoreline provides the main source of food for sea birds. Breeding colonies of sea birds use the various limestone islands along our coast for nesting, whilst beaches, rocky headlands and sand dunes are important as roosting sites. Sea birds create the opportunity for participants to be involved in behavioural studies of wildlife as well as identifying the various species found along our coast, such as the silver gull, pacific gull, crested tern, pied oystercatcher and pied cormorant. 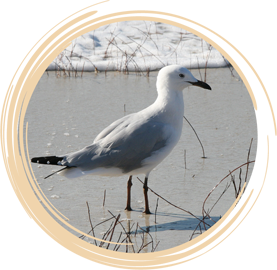 The See Birds activity within the Sandy Beach section of Exploring Coastal Waters education kit is a great tool for these types of behavioural studies.